LINO LAKES, Minn. (AP) — Ever since his 1996 Toyota Camry shot up an interstate ramp, plowing into the back of an Oldsmobile in a horrific crash that killed three people, Koua Fong Lee insisted he had done everything he could to stop the car. A jury didn't believe him, and a judge sentenced him to eight years in prison. But now, new revelations of safety problems with Toyotas have Lee pressing to get his case reopened and his freedom restored. Relatives of the victims — who condemned Lee at his sentencing three years ago — now believe he is innocent and are planning to sue Toyota. The prosecutor who sent Lee to prison said he thinks the case merits another look. "I know 100 percent in my heart that I took my foot off the gas and that I was stepping on the brakes as hard as possible," Lee said in an interview Wednesday at the state prison in Lino Lakes. "When the brakes were looked at and we were told that nothing was wrong with the brakes, I was shocked." Lee's accident is among a growing number of cases, some long resolved, that are getting new attention since Toyota admitted its problems with sudden acceleration were more extensive than originally believed. Numerous lawsuits involving Toyota accidents have been filed over the recent revelations, and attorneys expect the numbers will climb. In testimony before Congress, company executive renewed their apologies for underestimating the safety problems but also acknowledged that they still may not have identified all the causes for the sudden acceleration. The uncertainty could wind up helping Lee and others. Attorneys for both the 32-year-old St. Paul man as well as the victims' families say they're encouraged by the evidence that the problems went beyond models that originally were recalled. If Lee's car was defective, "We don't want an innocent man sitting in prison," said Phil Carruthers, who prosecuted the case for Ramsey County. A Toyota spokesman declined to comment on Lee's case. Lee, a recent Hmong immigrant with only about a year of driving experience, was driving his pregnant wife, 4-year-old daughter, father and brother home from church the afternoon of June 10, 2006, when their Camry zoomed up an Interstate 94 exit ramp in St. Paul. Police said it was traveling between 70 and 90 mph when it rear-ended an Oldsmobile stopped at a red light. Javis Trice Adams, 33, and his 10-year-old son, Javis Adams Jr., died at the scene. Adams' 6-year-old niece, Devyn Bolton, was paralyzed from the neck down, and died shortly after Lee was convicted. At his 2007 trial, Lee testified he was certain he tried to brake. But a city mechanic testified the brakes worked fine, and Carruthers, the prosecutor, argued Lee must have hit the gas by mistake. Lee's attorney at trial, Tracy Eichorn-Hicks, seemed to concede as much, arguing Lee's actions fell short of gross negligence. In the end, a jury convicted Lee on two counts of criminal vehicular homicide. At sentencing, Ramsey County District Judge Joanne Smith gave Lee the maximum after emotional testimony that included Devyn Bolton's mother, Bridget Trice, saying to Lee: "I hope you understand what you've done to my family, Mr. Lee. You have ruined it." Lee's Camry wasn't among those subject to Toyota's recent safety recalls, but Toyota did recall some 1996 Camrys for defective cruise controls that could cause sudden acceleration. Lee's current attorney, Brent Schafer, said several '96 Camry owners whose cars were not in the recall have filed sudden-acceleration complaints with federal regulators. Bob Hilliard, a Texas attorney, is preparing a lawsuit by the victims in the Lee crash. Hilliard said other federal complaints suggest a defect more widespread than recalled cruise controls — something with engine control modules that could extend to other Toyota makes and model years. Hilliard said he's aware of about 16 potential class-action cases filed around the country on the basis of the automaker's recent revelations. Attorneys for the victims' family declined to make them available, but Hilliard said they feel differently about Lee now. "They seem to have made peace with the fact that he's telling the truth," Hilliard said. "I feel like them believing in me is a gift that I've received from God," he said. Schafer said he'll file paperwork soon asking to reexamine the wrecked Camry, which still sits at the St. Paul police impoundment lot. All sides expect that request to be granted. Then Schafer would have to persuade the judge that new evidence merits a new trial. Judges usually are skeptical about claims of new evidence, but Joseph Daly, a law professor at Hamline University in St. Paul, said Lee's chances appear to be good. "I really think a judge would be inclined to let that evidence be presented," Daly said. Still, Carruthers said several factors would work against Lee. Lee testified his brakes didn't work, not that his car suddenly accelerated. And two experts — a city mechanic and an engineer hired by Lee's insurance company — didn't identify sudden acceleration as a problem with the car. Schafer said sudden acceleration is the only reasonable explanation for what happened. Lee said he never had driven before immigrating to the United States and settling in St. Paul's large Hmong community in 2004. He was working to get his high school equivalency degree before the crash, and he's still working on it in prison. He wept as he described the impact of his imprisonment on his wife and four children, ages 8, 5, 3 and 2, who are on welfare. 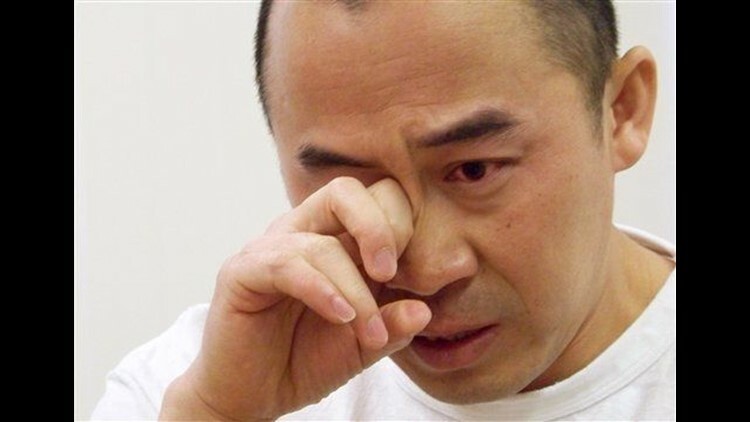 "Right now it is very difficult for them," Lee said tearfully. "It's because my children are still very young. My wife is going to school and there aren't people to help her out. My kids ask about me constantly. They ask me when I'm going to come home. They ask about me. I don't know what to say to them."